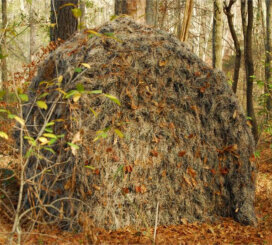 There are many Ghillie Suit Kits available so you can be involved in every aspect of building a ghillie suit. With a kit you can tailor a ghillie suit to specifically match a certain area you want to use the suit in. 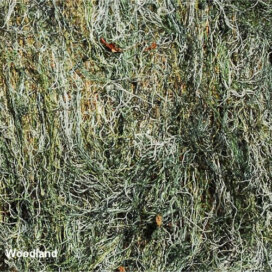 Although it takes time and effort, airsoft and paintball players agree that building your own ghillie suit can be the most rewarding. 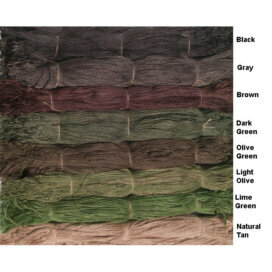 In the standard kits you choose from 4 patterns and the standard colors of jute are chosen for you. There are even custom kits available that allow you to choose the colors that you want. This kit covers only the head and torso. When completed, you will have a suit that you can move around in. Fast! 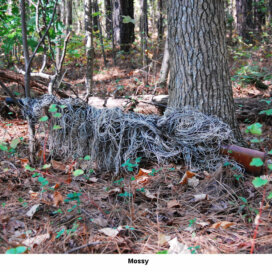 The Ultralight Ghillie Kits are the most popular. 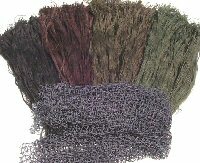 They come complete with the colors you need of jute/burlap, body and head netting, directions and fire retardant. They are designed for an upright stalk and the kits can also be made into a military style ghillie suit for crawling stalks.